Such a nice weather in London, it seems that spring is almost here and that makes me so excited, I love spring because London is beautiful during this season, lots of flowers everywhere, lots of sunshine and also it means that summer is almost here! 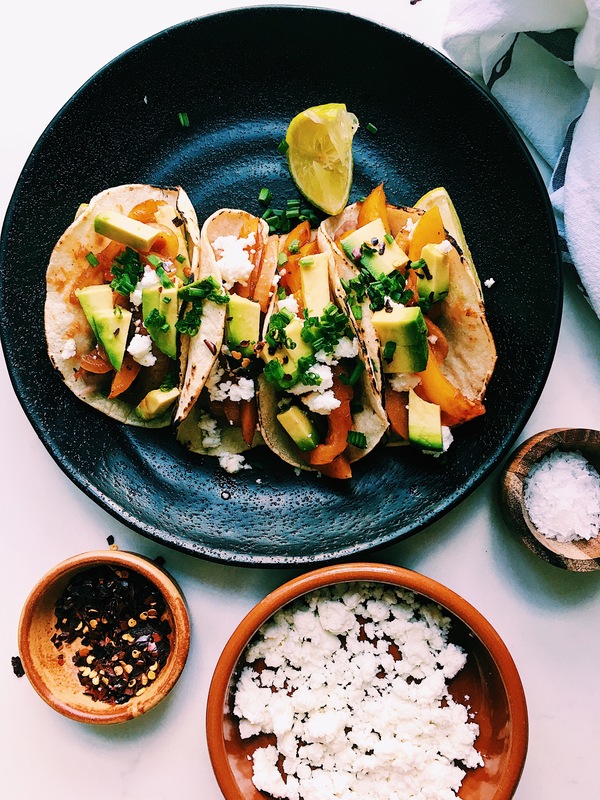 Today’s recipe is very healthy, I am trying to eat less meat, so I came out with this lovely dish which has lots of the ingredients I love: peppers, tomatoes, onion, garlic, chipotle, avocado and more chipotle! A perfect recipe for a quic lunch on a nice sunny day. Heat your pinto beans and set aside, you can find the recipe of how to cook and stored your pinto beans in my blog. Chop all the veggies. Heat a frying pan and add the oil, once the oil is hot, add all the veggies and cook until soft, around 10 min, add salt, ground black pepper and the blended chipotle chilli. Set aside. Cut your avocado, have your feta ready and the lime wedges. Heat your tortillas and make the tacos. Spread some beans on the tortilla, then some pepper in chipotle. Add some avocado, feta and chipotle flakes and squeeze some lime, bit of more salt and enjoy! Perfect for sharing with friends and beers! 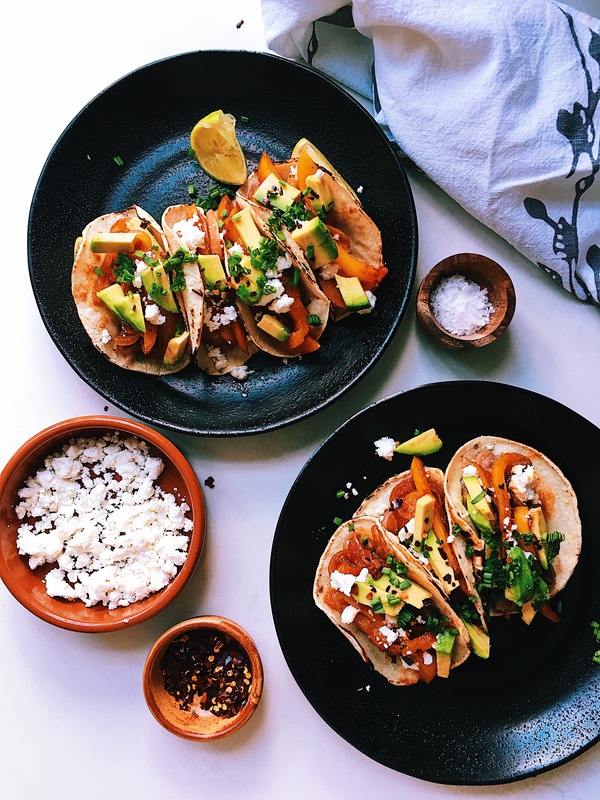 Como todas tus recetas, estos tacos se ven espectacular! Ya me dio hambre!